As the UK hopes to finally kick off new trade talks with the EU next month, the border with Ireland appears to have become the biggest stumbling block in the negotiations. The question around how the currently invisible border will be managed post-Brexit will not be resolved until Britain has agreed the outline of a trade deal with the EU, UK International Trade Secretary Liam Fox said on Sunday, putting himself directly at odds with the Irish government and Brussels. Speaking to Sky News from New Zealand, Fox said the British government did not want a “hard border” – which could include passport and customs controls – between Northern Ireland and the Republic of Ireland. “But we can’t get a final answer to the Irish question until we get an idea of the end state and until we get into discussions with the European Union on the end state that will be very difficult, so the quicker that we can do that the better,” he said. The comments came despite warnings from Brussels that such trade talks cannot proceed unless there has been “sufficient progress” made over the future of that border. Northern Ireland is the only part of the UK that will share a land border with an EU state post-Brexit. 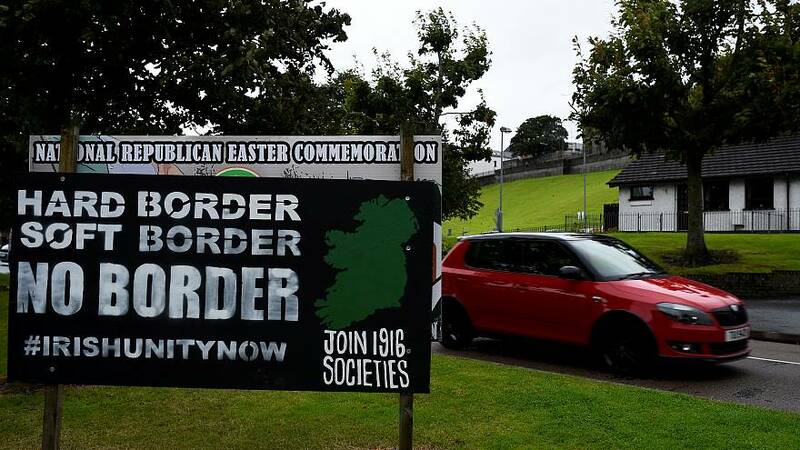 There are fears that a return to border checks could undermine peace on the island and hurt the economy. Ireland’s EU Commissioner told the Observer on Sunday the country would “continue to play tough to the end” over its threat to veto any trade talks until it has assurances there will be no hard border. Phil Hogan, the EU’s agriculture commissioner, argued that Britain, or Northern Ireland at least, should remain in the customs union to avoid a hard frontier dividing the island. “If the UK or Northern Ireland remained in the EU customs union, or better still the single market, there would be no border issue,” he said. However, British Prime Minister Theresa May has repeatedly made clear Britain will leave the single market and customs union. The Northern Irish party that is propping up May’s government, the Democratic Unionist party, has also warned it will oppose any deal that sees the province operate under different regulations to the rest of the United kingdom. “We will not support any arrangements that create barriers to trade between Northern Ireland and the rest of the UK, or any suggestion that Northern Ireland, unlike the rest of the UK, will have to mirror European regulations,” Foster told a party conference in Belfast on Saturday (November 25).